Te Kaitaka nestles in its dramatic landscape, with views of the Southern Alps and Lake Wanaka. A multi-award-winning Central Otago house designed by two Auckland architects and owned by a pioneering skin specialist has featured on the BBC as one of the world’s four most extraordinary mountain residences. 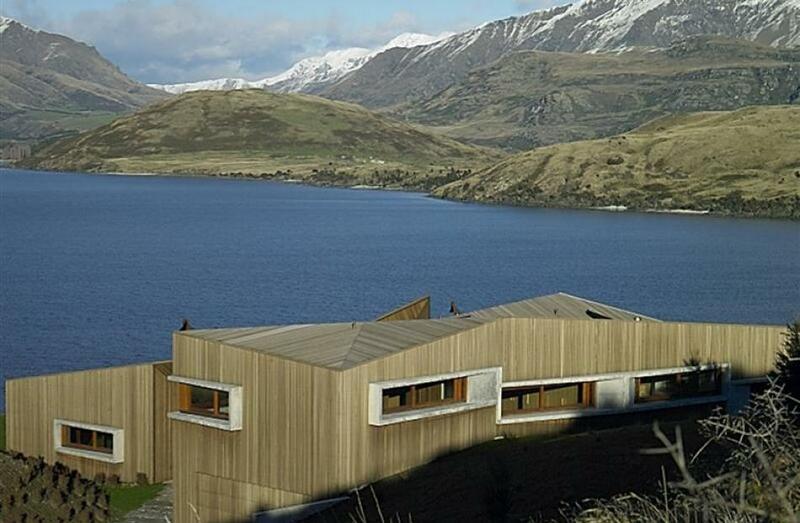 The job was challenging, Lawson said, because the lake and main views were to the south, making it harder to capture warmth and solar energy from the north “so we had to orientate the house to take in the dramatic lake and mountain views”. The same BBC series featured a Piha house designed by husband and wife team Lance and Nicola Herbst at Herbst Architects. The Grays, of Central Otago and Auckland, featured in the Herald’s Viva last year talking about their new Ao Skincare range. Read more here. John Walsh, New Zealand Institute of Architects communications manager, said the BBC’s coverage of New Zealand architect-designed houses was further evidence of the high international regard for this country’s work. “New Zealand projects, for example, have featured strongly in the annual World Architecture Festival and visiting architects are reliably impressed by the quality of architecture here, and envious of the sites available to local architects,” Walsh said. “New Zealand residential architecture, especially, is noted for the quality of its design and craftsmanship, and that recognition is starting to lead to international commissions for New Zealand’s leading architecture practices,” he said.